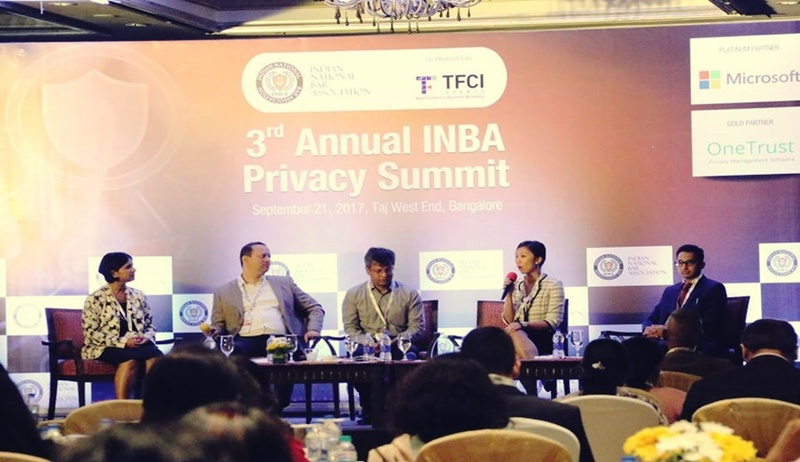 The 3rd Annual INBA Privacy Summit which was co-produced by TFCI Events, on Privacy, Data Protection & Cyber Security (www.privacysummit.in) was held on 21stof September, 2017 at the Taj West End, Bangalore. The summit was aimed at benefiting the management at international level in data protection and privacy by connecting the efforts of privacy and data protection professionals from across the globe. It also witnessed the coming together of privacy experts with hands-on experience from various industries. Speakers deliberated on the best practices and field-tested solutions for the latest privacy issues facing a wide range of businesses. Leading data protection, privacy and legal experts, general counsel, academicians, law practitioners, technology practice leaders and evangelists from across a wide spectrum of verticals addressed an erudite audience that represented 80+organizations from India, Italy, Singapore and USA. Privacy Issues and Challenges in emerging business models. Leading organizations such as Microsoft India and OneTrust were the platinum and gold partners respectively, while leading law firms such as Khaitan & Co., TRA Law and IndusLaw were Associate partners. University of Petroleum and Energy Studies (UPES) was the Knowledge Partner and Straits Interactive supported as a display participant. The event was well endorsed and supported by European Privacy Association (EPA), US India Business Council, Lex Witness (Magazine Partner), International Trademark Association, Center for Internet & Society, Information Systems Security Association, India Business Law Journal, LexisNexis, Manupatra, National Cyber Safety and Security Standards, LiveLaw.in, AdvocateKhoj, SoOLEGAL, and Conventus Law.